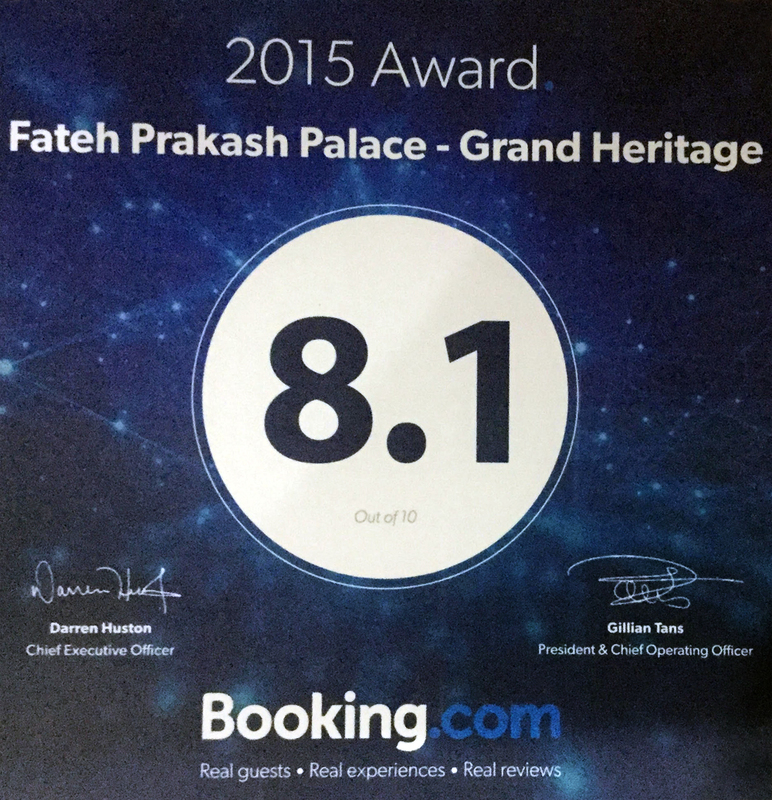 Fateh Prakash Palace awarded with the Guest Review Award by Booking.com! It is based on the awesome reviews our guests have left after their stay with us. Excellence well delivered!